Blake discusses the steps for living an extraordinary life. I've been teaching these principles along my journey for the last 25 years and I've seen people's lives transform as a result. BetterWorldians Radio today announced that Trevor Blake, author of Three Simple Steps, was a guest on the weekly Internet radio show. BetterWorldians Radio inspires with the people and ideas that are making the world a better place. The show featuring Blake aired on Thursday, May 8th and is now available via podcast on the VoiceAmerica Variety Channel (http://BetterWorldiansRadio.com). Blake is a serial entrepreneur who built four companies with the first one selling for $107 million dollars. He discussed his book Three Simple Steps and the lessons he has learned to take his life from ordinary to extraordinary. He tells listeners how they can have more control over their thoughts and use the knowledge he shares to do the same. “I’ve been teaching these principles along my journey for the last 25 years and I’ve seen people’s lives completely transform as a result,” said Blake. To ensure readers that he is coming from a place of authenticity, Blake is donating all proceeds from Three Simple Steps to cancer research. BetterWorldians Radio is a weekly Internet radio broadcast on the VoiceAmerica Talk Radio network that has provided a platform for some of the most inspiring people and organizations in our world today. BetterWorldians Radio is hosted by Ray, MarySue and Gregory Hansell, the family team that created the popular game on Facebook, A Better World. BetterWorldians Radio airs live on Thursdays at 11 a.m. ET on the VoiceAmerica Variety Channel and has featured guests such as best-selling authors Ryan Carroll (CEO of Summertime Entertainment and producer of Legends of Oz: Dorothy’s Return), Tom Ziglar (CEO, Ziglar, Inc.), and Tiny Buddha founder Lori Deschene. To listen to the show, log on to BetterWorldiansRadio.com. All shows will be available in the BetterWorldians content library on the VoiceAmerica Variety Channel for on-demand and podcast download. 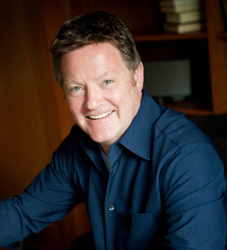 Trevor Blake, author of Three Simple Steps, is a serial entrepreneur. He was founder and CEO of QOL Medical LLC, a company focused on solutions for rare diseases that he started in 2002 with a few thousand dollars. Its virtual business model was unique in an industry crying out for change, it was the top grossing nonemployer in the United States, and it sold in 2010 for over $100 million. In 2006 Trevor founded ANU, a unique not-for-profit he dedicated to developing low side-effect cancer drugs. In 2011 he co-founded Kalvi Medical LLC and is its CEO. Trevor has worked in the UK, Europe, and the United States with companies such as Lipha, 3M, and Biogen and has won many industry awards, including marketing professional of the year. A graduate of Britannia Royal Naval College in the UK, he has a degree in radiography, and an MBA from Durham University, also in the UK.